To present to athletes and coaches, an adventure of receiving Jesus Christ as Savior and Lord, serving Him in their relationships and in the fellowship of the church. A Huddle is a place where athletes and coaches grow spiritually. Whether that means initial salvation or traveling further along the road toward spiritual maturity. What is a FCA Huddle? THe Bible contains life's game plan. From this trustworthy document we derive our authority. Since it is God's Word, it is true in every area to which it speaks. 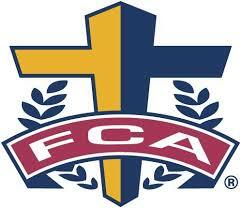 The focus of FCA is not what men say, but rather what God says.